In my books, there really is nothing better than a piece of clothing that's both comfortable, and makes you feel your absolute best. 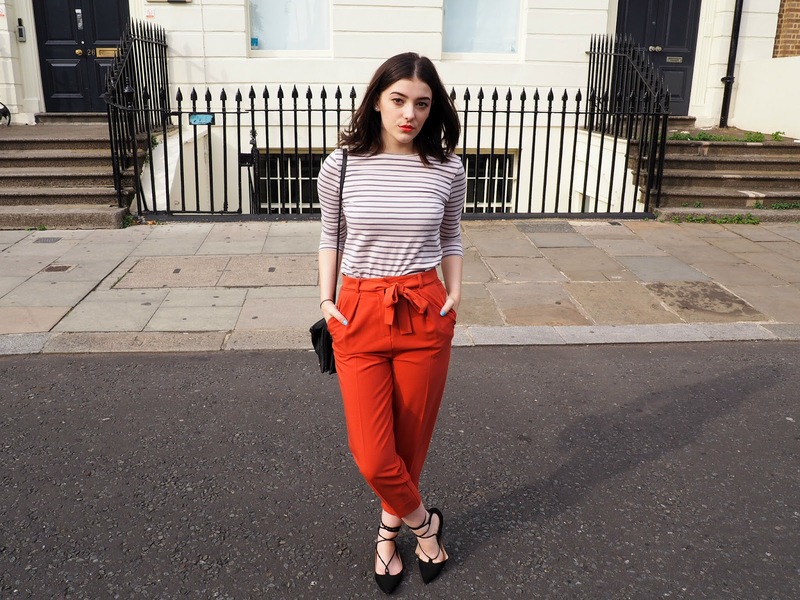 For me, that's these TOPSHOP trousers. 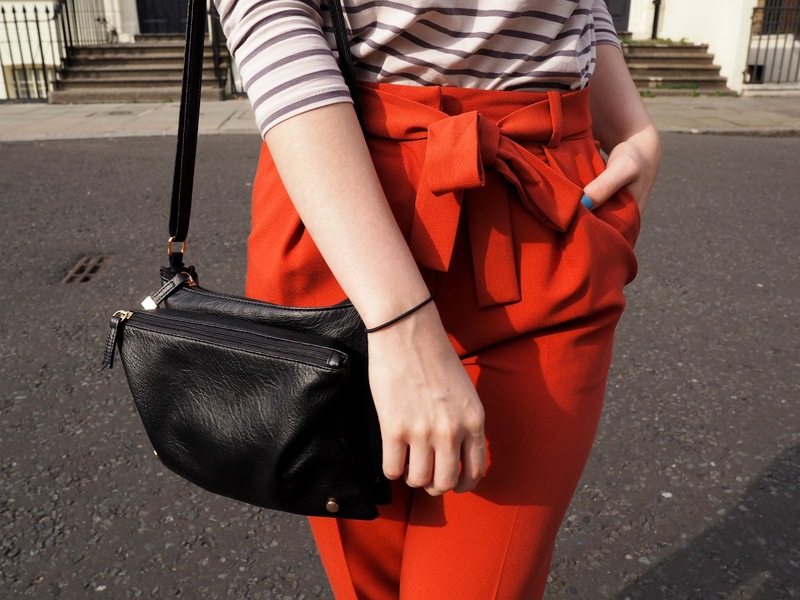 The added tie detailing on the waistband makes them bang on trend for this season and the rust-orange shade takes you into Autumn perfectly. 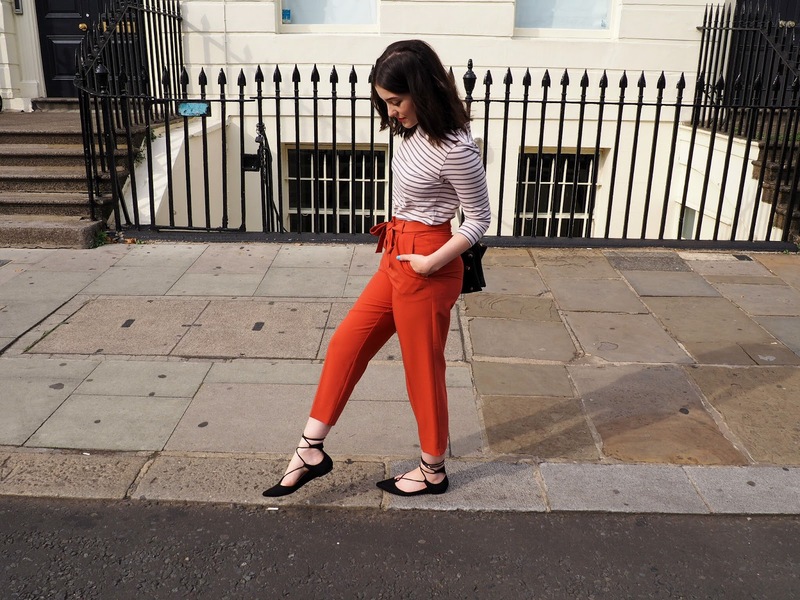 Sticking to the trends, I teamed them with some gorgeous lace-up flats, which are absolutely everywhere this season - can you blame me for caving? As for the top, you can never go wrong with stripes. 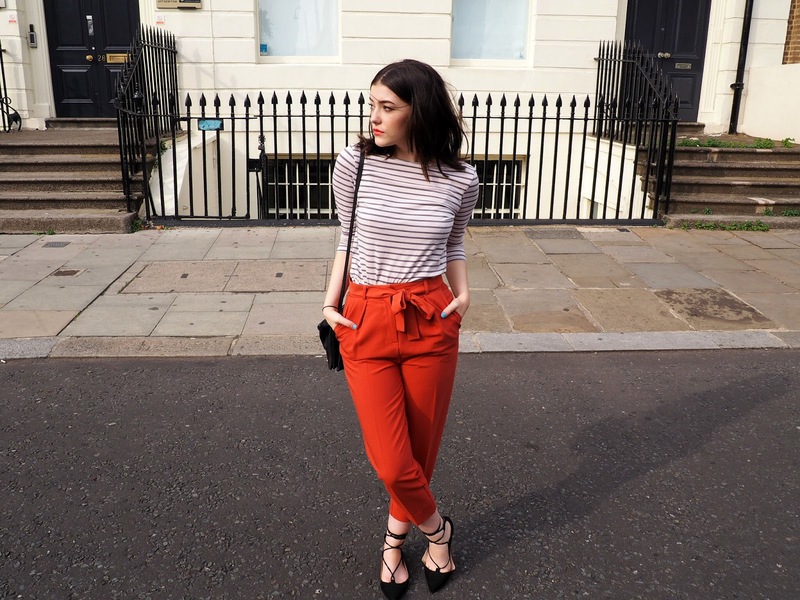 I'm not sure if you can tell on camera but the top has a super subtle orange tone to it, making it the perfect item to pair with these trousers! 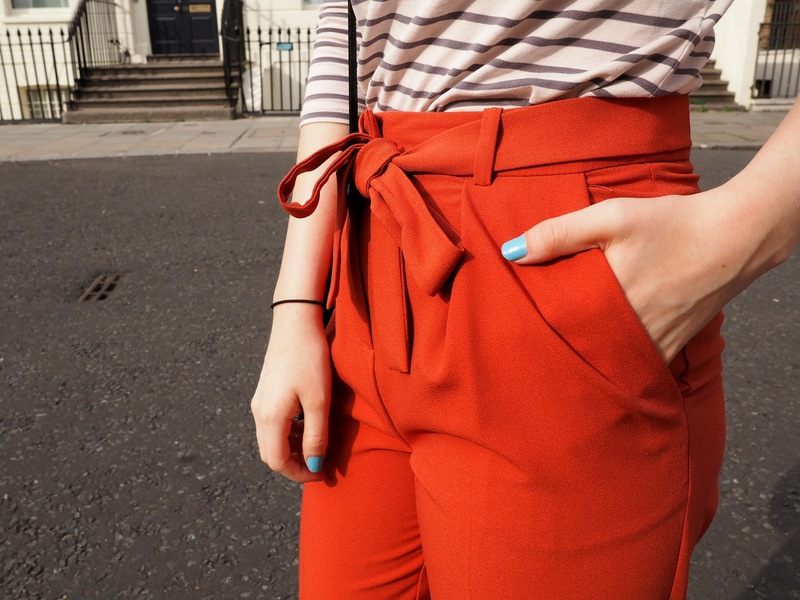 Love the bold trousers! This looks so classic paired with the stripes. Lovely!